The November Project is delighted to announce that London-born poet Karen McCarthy Woolf will be its inaugural Writer in Residence. The November Project will be providing residencies for poets from before its launch: Karen will be taking up her post at its current exciting development phase. Karen will be given a very special level of access to The November Project while we prepare to build and open the Project in Spring, and will see and be inspired by its transformation from a cargo barge into a world class tidal-powered visitor’s attraction, social enterprise, community hub and green-tech workshop. November floats in the middle of the river opposite the Houses of Parliament, a logistical challenge that Karen relishes, as being neither in north or south London, but floating in the middle of the river – a feeling of being in two places at the same time that is familiar to her as a mixed-heritage (English/Jamaican) Londoner. The Thames has captured the imaginations of some of the greatest artists of our times, particularly from eras when the river was a much more integrated part of London life, and The November Project works towards shining a new light on the unique perspective the river gives of London, re-igniting its power to educate, entertain and enlighten. 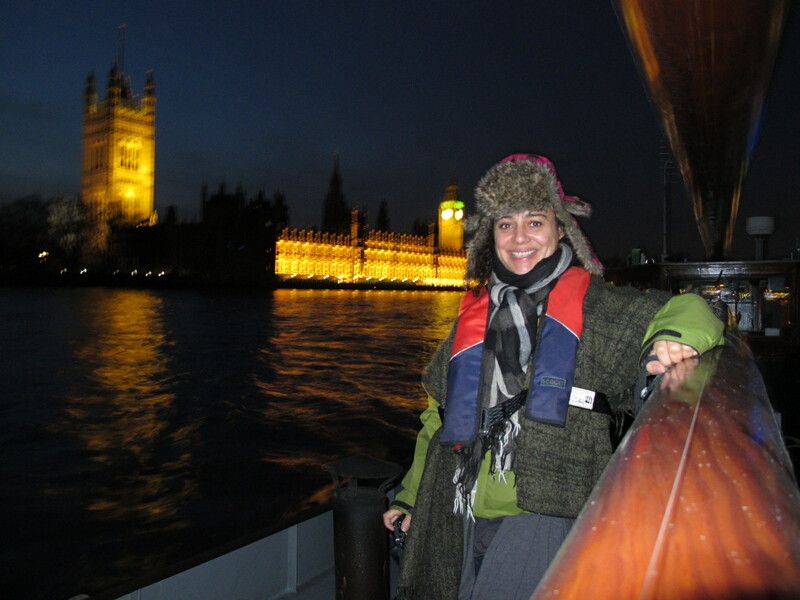 Through Karen’s work we hope to explore what part the Thames plays in our lives and to work towards re-connecting Londoners and visitors to London to their valuable ‘green corridor’. On November, Karen is ensconced in a powerful and natural environment and yet firmly seeded in the heart of the city. Both within London and detached, the tidal Thames currently feels inaccessible to many Londoners and yet is critical to its identity. Karen McCarthy Woolf was born in London to English and Jamaican parents. 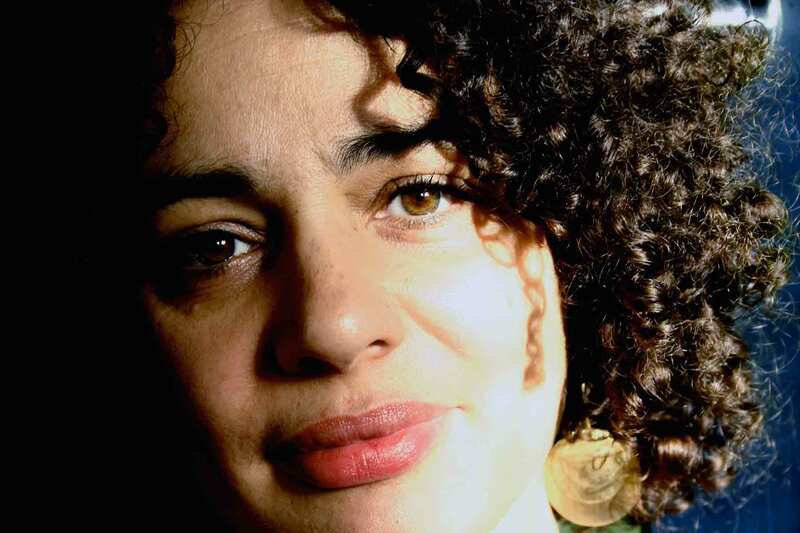 Her poetry has been exhibited on the London Underground, broadcast on BBC radio and is published in magazines and anthologies, most recently in Poetry Review, Poetry London and Ten New Poets: Spread the Word (Bloodaxe, 2010). Her pamphlet The Worshipful Company of Pomegranate Slicers was a Poetry Book Society recommendation and a New Statesman Book of the Year. Karen is also interested in exploring the creative process online in her blog http://www.opennotebooks.co.uk which was commissioned by literature development agency Spread the Word. Follow her on Twitter @KMcCarthyWoolf. Karen will be developing work from her base on The November Project barge and in this state of being within the no-man’s water of inbetween (neither North nor South, both within London and apart from it) will be considering the environment and ecologies we encounter as urbanites and our relationship with climate change and how we explore it/integrate it/reject its presence in our lives, as well as reflecting on her more personal responses to the environment in which she finds herself on November and its resonance within her own journey. She will also be inviting other poets to share in the process along the way, sharing her experiences with literary audiences on November through readings and workshops, and working with talented emerging poets from the local tidal Thames community. Karen’s first public events will take place on November when it opens in Spring 2012. The events will be part of The November Project’s cultural events programme. The residencies that The November Project provides for poets, and all of its contemporary literature activities, are key pillars of The November Project’s cultural programme.